Nutritionville, USA is a few games in one. It has an over arching exploratory type gameplay, and then sprinkeled throughout are different mini-games. The point of the over arching game is to collect various pieces of food for a meal. The player needs to do this for breakfast, lunch, and dinner. 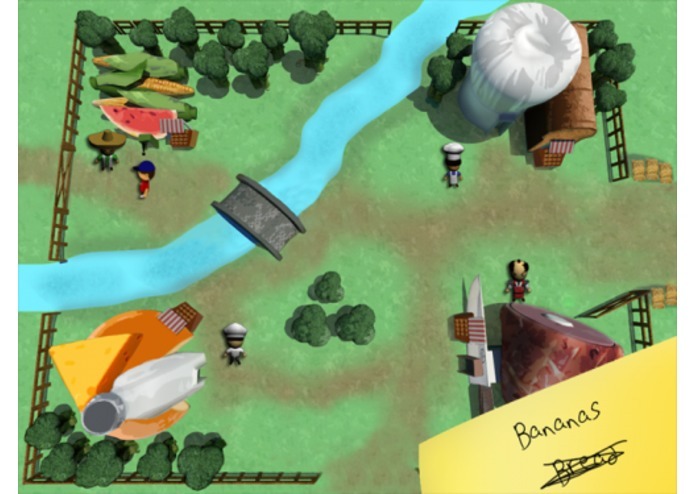 The player gets the pieces of food by completing the mini-games. There are two distinct mini-games (each with variations). There is an item matching game that, depending on the variation, uses different items to match i.e. dairy products, meat products, wheat products, and fruits and vegetables. The other game is an object catch game. One version has the player catching eggs falling from a chicken coop, and the other has them catching apples from a tree.